Against the defending champions, the Warriors unrolled their usual starting five. 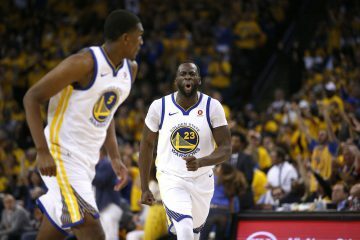 Harrison Barnes started the game with confidence and aggressiveness; he scored their first six points. The Warriors and Spurs were locked up in a half court game with very little fast breaks and transition scores. Outside of Barnes and Curry the Warriors had a balanced attack with six different players scoring. Curry had seven points and Barnes led all scorers with 11 points. At the end of the first, the Warriors found themselves down 29-26. The Warriors began the second with consecutive turnover which pushed their total to six. 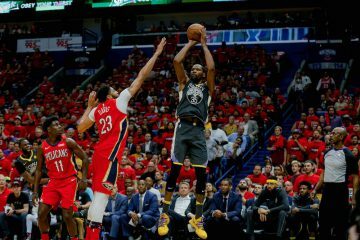 Iguodala’s drive and kick found Thompson open for a three-pointer to tie the game at 32 apiece. The game’s pace was very steady and neither team could pull away. 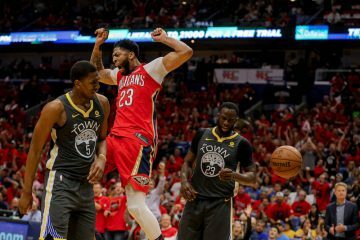 Both teams defense had prevented all players from getting into an offensive groove. With the half over, the Warriors continued to trail the Spurs 50-44. 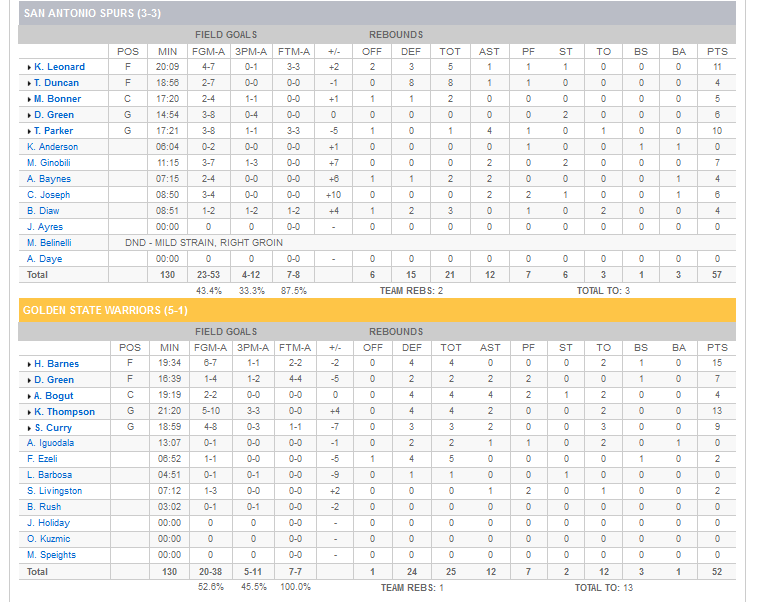 Barnes led all scorers with 15 and Bogut led all passers with 4 assists. After a slow first half, Thompson came alive by knocking down two three balls. The pace and scoring picked up in the quarter. 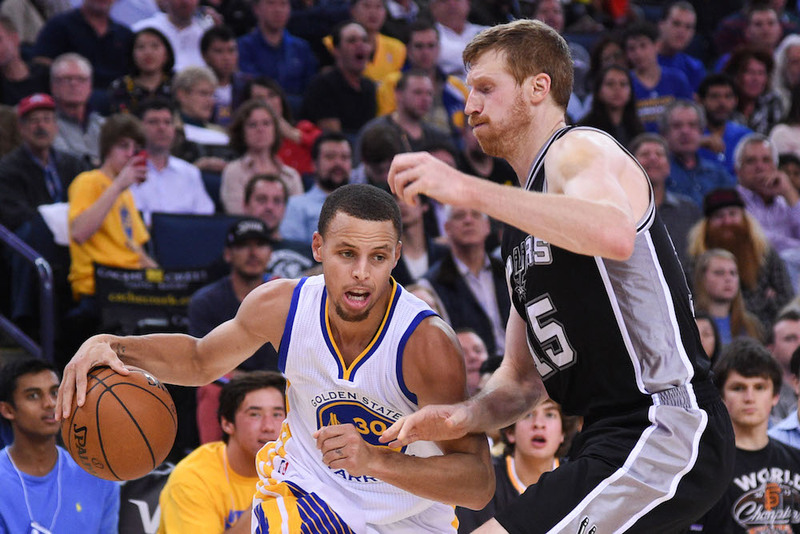 The Warriors were being limited to one-and-dones while the Spurs were executing on offense. Steph finished a sequence with a beautiful one legged floating jump shot. 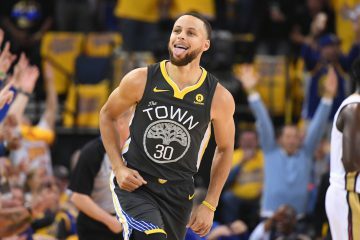 Steph continued to wow the crowd by showing off his step-back move but was unsuccessful, falling to 0-5 from behind the arc. With the momentum with the Spurs, the Warriors went down double digits and would have to claw their way back into the game. Klay got to the hoop, took the contact, and hung in the air for an unrealistic shot. The Warriors fell behind 82-70 at the end of three. Barnes with 18 points and each “Splash Brother” has 16 of their own.